If it weren't for the e-mails being grey-area leaked and MLB having ⅖ a testicle compared to the NBA, that would be Donald Sterling territory sanctions-wise. 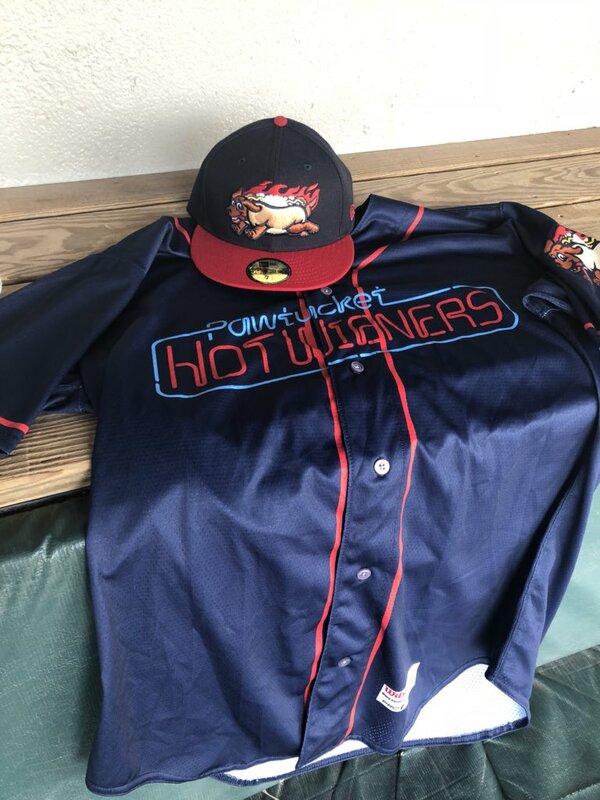 I’m a Pawtucket Hot Weiners fan myself. I find these are great games to bring kids to. The Dogs will soon be joined in the American Association of Independent Professional Baseball by the Milwaukee Milkmen - who begin play this season! They're building their ballpark 2.2 miles from my house - so I plan to be out there a lot this summer! Dogs vs. Milkmen is a much more fun rivalry. Agreed!! I drive past the park every day on my way to work and slowly - but surely - it's coming together. I think the difference might be that Joe Ricketts apparently doesn't have much (if anything) to do with the team - his kids - specifically Tom - run the franchise. I would hope MLB at least makes a statement condemning his behavior and that the Cubs - who have already issues a statement - take further steps to ensure he truly has no ties to the franchise going forward. He's a horrid human being. It's great, because Brockton is legend for its crack trade. Go hometown squadron! The Dogs just play in Rosemont near O’Hare. Nothing exciting. Just a bland strip mall and hotel hell. I really enjoyed the MiLB game I went to last summer — great fun/stadium experience. Makes me regret not going to see Vlad Jr. in Buffalo. Crackton Rox are Cape Cod League...short-season A-ball. They're wedged between the fairgrounds, high school football stadium, and the Motor Vehicle Registry building where I found an Elmer Fudd-caliber shotgun casing sitting on the front steps last year after a hellish hour in line. Like every single municipal building in town the sportsball stadium is named after hometown hagiography subject Rocky Marciano. I've never been to a game even though there's a bus right at the end of my street that'll take me there. They've got the best attendance by far in the Cape League being in a city of 90K that's only 4 commuter rail stops from downtown Boston, and I've heard great things from the townies. Even though you have a par chance of getting shot in the fairgrounds parking lot during fair season. Or in the DMV parking lot during wabbit season. It's insane to me that we're, what, less than ten days before pitchers and catchers report for most teams and Harper/Machado/Kimbrel still haven't signed somewhere. There haven't even been any great rumors in awhile! Also, MLB and the MLBPA are mulling a universal DH. Amen. #endclownball. Kimbrel doesn't surprise, given his demands and a less-than-stellar season. Likewise Harper—he has enough warts that he doesn't suggest long-term/super stud money. Machado is going to kill whichever club signs him unless he does a one-year deal. He screams "got paid, get lazy" to me. But … but … strategy! How will the LaRussas of the world show off their big brains if they can't replace the tiring pitcher with a pinch hitter in the seventh?